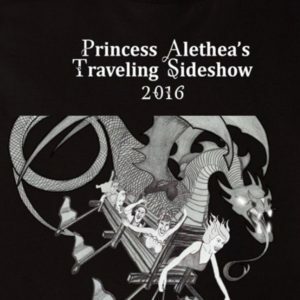 With Dragon Con over for another year, I wanted to say thank you to all my wonderful friends who helped make Princess Alethea’s Traveling SideShow a huge success again this year. Thank you to Leanna Renee Hieber for being my bridge, for making people laugh, and for being with me since the beginning. Thank you to Mari Mancusi for being the most hilarious Katniss while looking fierce as Jedi Rapunzel. Thank you to Gray Rinehart for Ship With No Name, possibly the funniest song I’ve heard in my life. Thank you to E.C. Myers. Eugene my prince, and S.J. 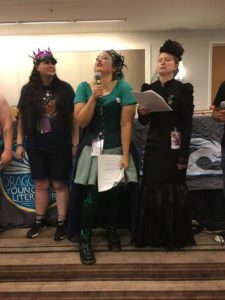 Tucker, Sooj my Enchantress, for joining me in my shenanigans and being a part of, what I consider, the best SideShow yet!! 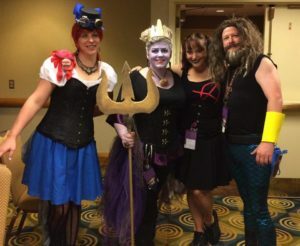 But most of all, thank you to my Brute Squad for having my back, joining in the fun, and helping make my SideShow the best it can be! 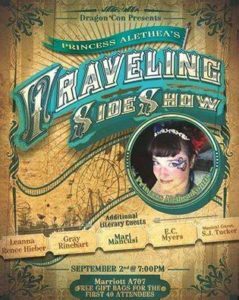 The Daily Dragon says that Princess Alethea’s Traveling SideShow is a “fantastic event that everyone should experience at least once.” You can read the full (AMAZING) review HERE! 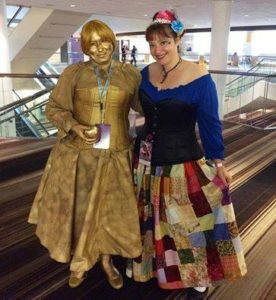 Also, if you enjoyed Princess Alethea’s Traveling Sideshow, please, please go into the Dragon Con app and give us a starred rating! 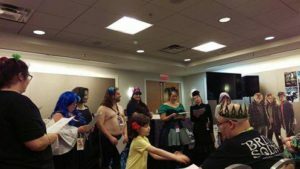 Ratings help the Dragon Con Powers That Be decide which panels/programs will be asked back next year! This entry was written by Sarah Simpson-Weiss and posted on September 7, 2016 at 2:16 pm and filed under life. Bookmark the permalink. Follow any comments here with the RSS feed for this post. 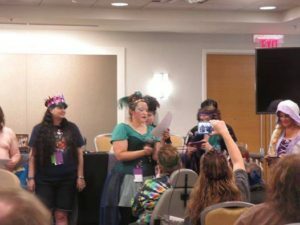 Looks like a wonderful, successful event!